Diwali – the festival of lights and sound! 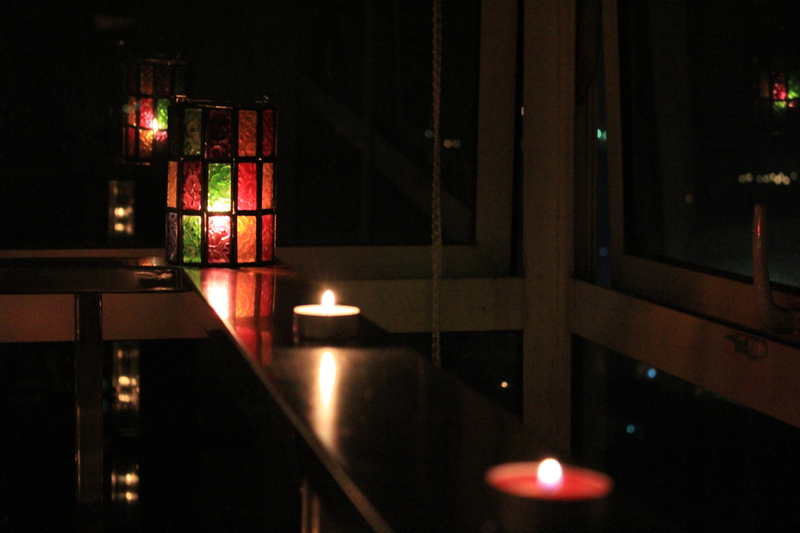 We celebrated Diwali, one of my favourite festivals, over this weekend. I’m not religious, but there’s something about Diwali that excites me. Probably the lights, and all the potential they carry for beautifying the house. I haven’t burst firecrackers since the time our pet, Thaku, came home and would be terrified of the noise. Thaku’s no more with us, but I’m still happier not bursting crackers. In Hanoi, of course, there’s no sign of Diwali, but that didn’t stop us from organizing a bash. 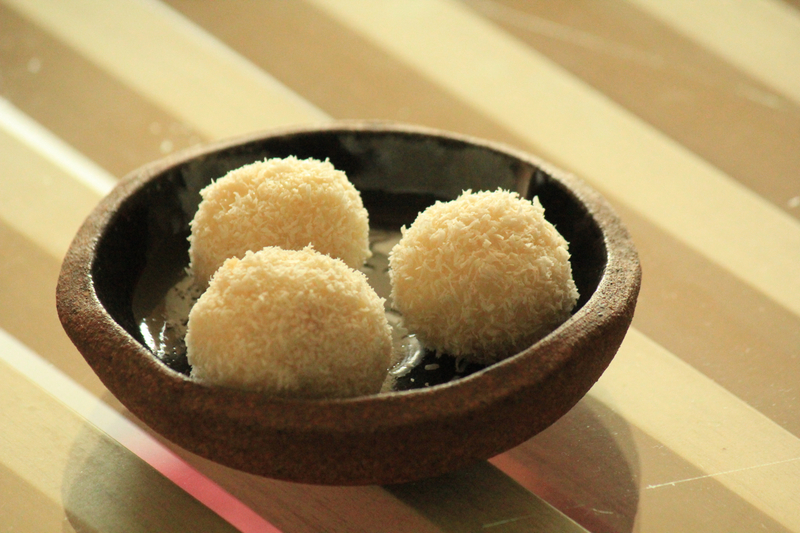 I made coconut laddoos (with condensed milk – the easiest way) and mathri for ‘faral‘ (Diwali munchies), and we had a party on Saturday. 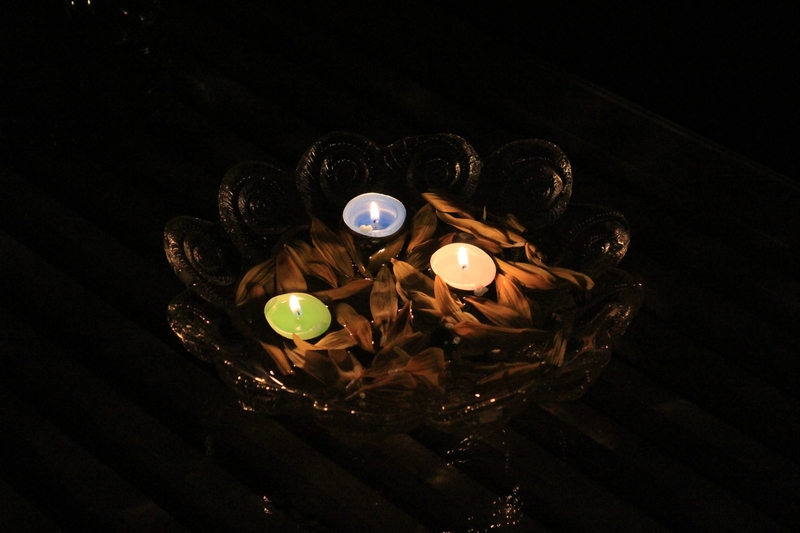 Employed all the li’l lamps bought in Hoi An, and then some. Went berserk in the flower market and filled every vase in the house, to make up for the marigold ‘toran‘. Got into our pretty salwars and churidars, and piled on the jewellery. And then, cooked an international menu for all the desi guests. Hunted all over town for fondue pots, and managed to find a pair of beauties in my fave, Bat Trang (ceramic market). So here’s the menu: Baguette with pesto, sautéed mushrooms, grilled Haloumi slices, shepherd’s pie, chicken pizza, vegetable lasagna, lettuce-orange-cherry tomato salad, chocolate fondue. Nothing to make me slave in the kitchen. We also put together a list of dance tracks (mostly Bollywood, of course), and boogied away into the night. Thank God for Souvik’s energy, for cleaning up after the guests went home. Enjoyed reading especially the menu part. MORE PICTURES AARTI.. please.. this sound sooooooooooooooooooo warm, tasty and special..